A group of lifelong football fans have worked together to ensure their beloved Hull City plays a part in the UK City of Culture 2017 celebrations. The group are putting the final touches to plans for an exhibition of classic Tigers’ kits, which will go on display from Monday 3 July. 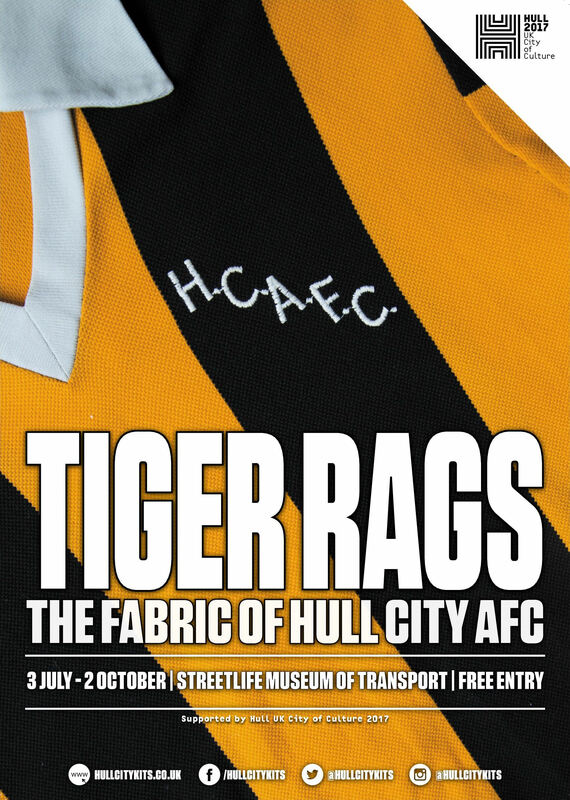 Tiger Rags – The Fabric of Hull City AFC will run from Monday July 3 to Tuesday October 2 at the Streetlife Museum of Transport. Entry will be free. The exhibition is part of Hull UK City of Culture 2017’s Creative Communities Programme. 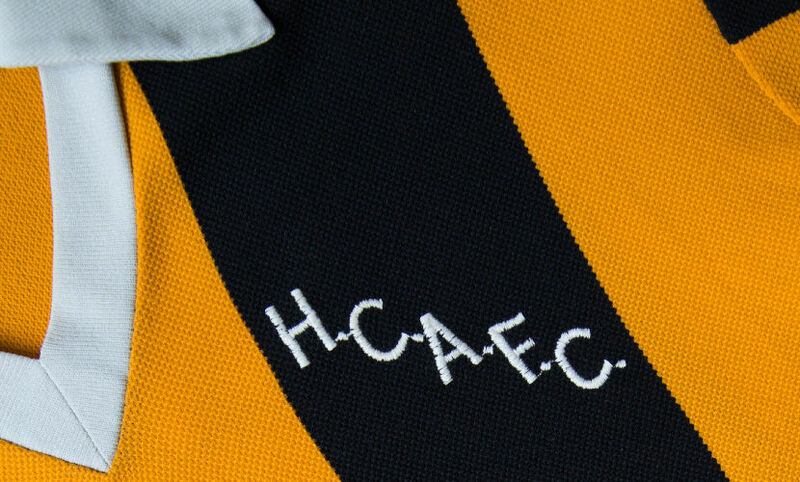 Les Motherby, author of the Hull City Kits blog and an avid hoarder of memorabilia, has brought together a number of local collectors to exhibit their prized player worn shirts, on public display for first time. Councillor Terry Geraghty, Portfolio Holder for Culture and Leisure and Chair of Hull Culture & Leisure, said: “Over the years Hull City have grown to become an integral part of the fabric of the city and its identity. The club is loved by locals and recognised all around the world. The Tiger Rags exhibition has two themes, Plurality of Polyester and International Tigers. Plurality of Polyester will run from July 3 to September 3, followed by International Tigers from September 4 to October 2. The first two months will focus on kit design. Examples of different styles will be on display, as will shirts from the 1980s. 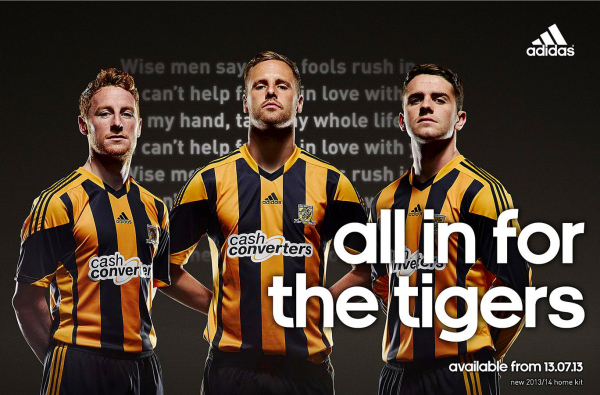 Shirts will also commemorate teams from 2008, 2014 and 2016, when the Tigers reached Wembley finals. 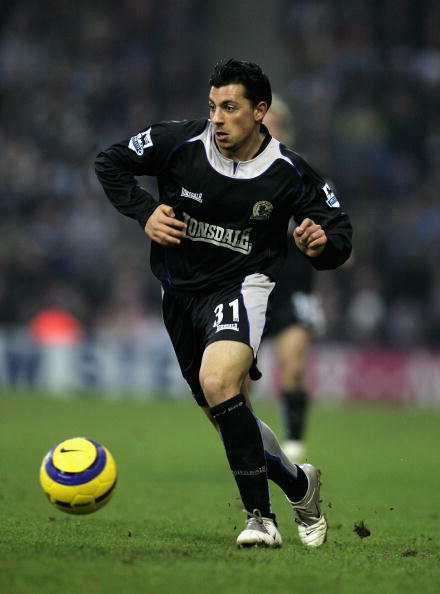 There’s also a UEFA rule compliant match shirt from City’s brief but memorable foray into European competition. From September 4 to October 2 the exhibition switches to International Tigers. 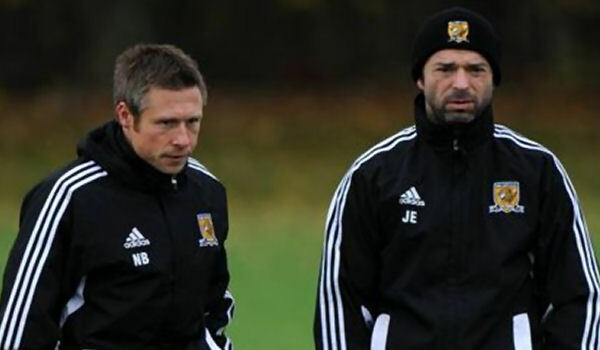 The last month of Tiger Rags acknowledges the part played by foreign footballers during Hull City’s rise from the basement division to the Premier League, with a display of shirts worn by players from around the globe who have come to Hull to play for the Tigers. Streetlife Museum of Transport is free and open Monday – Saturday 10am – 5pm and Sunday 11am – 4.30pm. Tiger Rags is one of 60 new projects to receive funding through the Hull 2017 Creative Communities Programme, which is being delivered in partnership with the Big Lottery Fund, a Principal Partner of Hull 2017. A total of £750,000 is being invested in the programme, which was set up to celebrate, nurture and support local talent and develop opportunities for emerging artists. In addition to cash from Hull 2017 and the Big Lottery Fund, the projects will receive staff support to build capacity in the arts sector, helping to create a legacy. The Creative Communities Programme is also being supported by Hull and East Riding Charitable Trust. The projects – which range from photography exhibitions to music and food festivals and choral and orchestral concerts to audio-visual installations – will see local artists, community groups, cultural and other organisations in the city working with local people of all ages to create new artistic work, events, installations and other activity throughout 2017. Hull UK City of Culture 2017 is a 365 day programme of cultural events and creativity inspired by the city and told to the world. Hull secured the title of UK City of Culture 2017 in November 2013. It is only the second city to hold the title and the first in England. Divided into four seasons, this nationally significant event draws on the distinctive spirit of the city and the artists, writers, directors, musicians, revolutionaries and thinkers that have made such a significant contribution to the development of art and ideas. The Culture Company was set up to deliver the Hull 2017 programme and is an independent organisation with charitable status. It has raised £32 million, with over 60 partners supporting the project, including public bodies, lottery distributors, trusts and foundations and local and national businesses. Key contributions are coming from: Host City – Hull City Council; Principal Partners – Arts Council England, BBC, Big Lottery Fund, East Riding of Yorkshire Council, Heritage Lottery Fund, KCOM, KWL, Spirit of 2012, Yorkshire Water and the University of Hull; Major Partners –Associated British Ports, Arco, BP, the British Council, British Film Institute, Green Port Hull, Hull Clinical Commissioning Group, MKM Building Supplies, P&O Ferries, Paul Hamlyn Foundation, Sewell Group, Siemens, Smith & Nephew and Wykeland Group. 68 per cent of the funding is dedicated to public facing activities, including the widest range of cultural events in every corner of the city, with a further 11 per cent for legacy and contingency. More than £5 million is being invested in volunteering, learning and community engagement. £1.6 million is being invested to ensure a legacy after 2017. This includes capacity building, such as supporting existing events so they can grow, staging curtain-raiser events, developing future programming for after 2017 and building a new platform to support a unified ticketing system for the city. Hull 2017’s International Partners are: Aarhus, Denmark, which is European Capital of Culture 2017; Reykjavik, Iceland; Rotterdam, The Netherlands; and Freetown, Sierra Leone (twinned with Hull). These relationships are reflected in a number of events throughout the year. Since June 2004 it has awarded over £8 billion to projects that change the lives of millions of people. Since the National Lottery began in 1994, £34 billion has been raised and more than 450,000 grants awarded. The Hollingbery Family founded the business in 1933 with the first Comet superstore opened in Hull in 1968. The business was subsequently sold to Kingfisher and in 1985 the charity was established with the defined purpose of donating funds to help and support charities, both national and local, and other deserving causes, provided that direct benefit was forthcoming for people who live in Hull or the East Riding of Yorkshire.